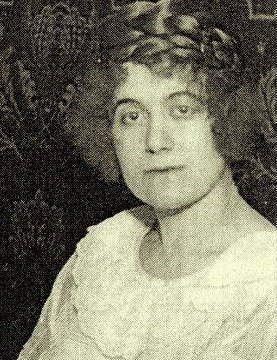 On this date in 1938, Austrian Martha Marek was guillotined in Vienna for several murders by poison. She first came to the attention of the discerning interwar crime audience in 1925 when she and her husband Emil were convicted of insurance fraud: Emil claimed to have “lost his leg while chopping wood” just after having taken out a policy, but examination showed that the lost leg had actually been chopped off methodically — and clumsily. They both served a short stint in prison but at least Martha still had four good limbs to go with her wits. Martha before her marriage had been the lover of a department store magnate five decades her senior who lavished money on her and left her a tidy inheritance to the chagrin of his family. She made her way in the world hitting mother lodes and living comfortably on them, and the time would come that poison would suit her ends better than seduction. In July 1932, Emil died of apparent tuberculosis. The next month, the couple’s infant daughter Ingeborg died too. Martha, who had lately been reduced to peddling vegetables in the street, pocketed insurance payments on both. Shortly after, she moved in with an elderly aunt, and the aunt soon died too — leaving her home and assets to her “caregiver”. As this nest egg dwindled, Martha opened the place to boarders, and one of these poor souls also died — not before mentioning to some people that he always seemed to get sick when he ate Martha’s food. Turned out, Martha had insured his life too. Martha actually got away with all of this at first, despite the agitation of the dead boarder’s relative. But she pushed her luck a little bit too far when she tried to fraudulently report some insured paintings as stolen in 1937. Persnickety insurance adjusters investigated, and the whole murder spree came out in the process. She was convicted for killing husband, daughter, aunt, and lodger with the rat poison Zeliopaste (thallium). Austria’s traditional execution method had been hanging, and its traditional executive behavior had been to commute women’s death sentences. However, the March 1938 <>Anschluss annexing Austria to Hitler’s Germany brought an update to Germany’s capital punishment policies. Hitler rejected the mercy application (it didn’t help that Martha was half-Jewish) … and prolific Third Reich executioner Johann Reichhart overpowered a violently struggling Martha Marek to behead her on the fallbeil.